Golsteyn initially admitted during a polygraph test for a CIA interview that he had killed an unarmed Afghan man in February 2010 after a tribal leader claimed the man had built a bomb that had killed two Marines. His charge sheet does not provide any details on how Golsteyn shot and killed the suspected bomb maker, who is identified as "Rasoul." Former Green Beret Officer Matt Golsteyn and wife Julie Golsteyn join the 'Fox & Friends' team for an exclusive interview. During his CIA polygraph test, Golsteyn said he took Rasoul off base and shot him because the Afghan tribal leader was worried that Rasoul would murder him and his family if released, the Washington Post first reported. He also said that he buried Rasoul, and then he and two other soldiers dug up Rasoul's body and burned it. More recently, Golsteyn told the Washington Post's Dan Lamothe that he set up an ambush position off base in case Rasoul tried to walk towards Taliban positions – which is exactly what he claimed Rasoul did once released. "He had a long walk," Golsteyn told the Washington Post. "He had a long time to figure out where he was going in life." Phillip Stackhouse, Golsteyn's attorney, said his client has always maintained that the February 2010 incident was an ambush. Moreover, Rasoul was apprehended with bomb-making equipment and was identified by "a trusted source" as a bomb-maker, whom the Taliban had deployed to Marjah to fight U.S. troops, Stackhouse told Task & Purpose on Sunday. "The Taliban fighter/bomb-maker was a combatant at the time," Stackhouse said in an email. "He had been released, as required, sometime earlier, i.e., he was not a detainee, and was killed on the battlefield." 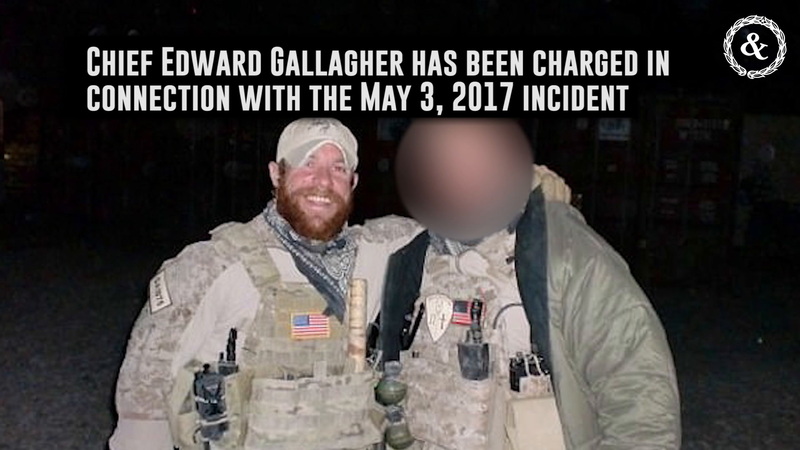 Army investigators initially decided there was not enough evidence to prosecute Golsteyn, but the investigation was relo-opened after he admitted to killing Rasoul during an October 2016 interview with Fox News' Bret Baier. He was officially charged with premeditated murder in December 2018. An Article 32 hearing, the military's equivalent of a grand jury, for Golsteyn's case has been scheduled for March 14 at Fort Bragg, North Carolina. A U.S. Army Special Operations Command spokesman declined to respond to Golsteyn's argument that the Army is mischaracterizing a lawful engagement of an enemy combatant as murder. "Since recalled to active duty, Maj. Golsteyn has been afforded the respect his rank commands and privileges as any Soldier assigned to United States Army Special Operations Command located at Fort Bragg, N.C.," Lt. Col. Loren Bymer said in an email. "To protect Maj. Golsteyn's rights and maintain integrity of the legal process, it would be inappropriate to comment further on the case prior to the outcome of the Article 32 hearing." Shortly after Golsteyn was charged, President Donald Trump tweeted that Golsteyn was a "U.S. Military hero" and vowed to review the case. On Sunday, Golsteyn told Hegseth that his son was encouraged by the president's comment. "It just gave him a sense of relief on his face that someone was actually paying attention and cared about his dad," Golsteyn said. "It was a real blessing."